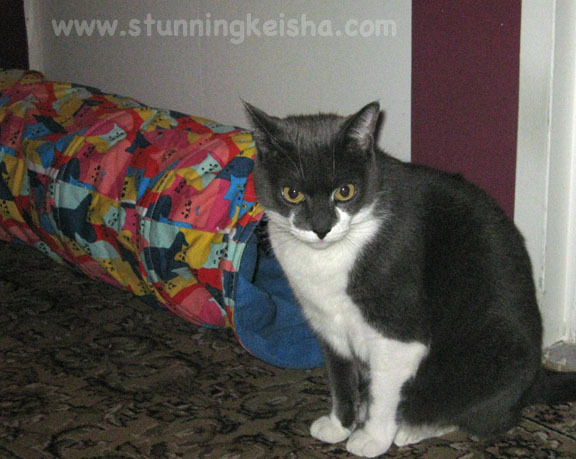 The last stunning photo of me in 2012 taken in the hall by my tunnel. A stunning picture a day keeps the doctor away! HAH! In lieu of the peeps not keeping any of the New Year's Revolutions I've made for them over the past 2 years, I've only made one for each of the them this year. My new as-yet-unmade Tower of Power. For TW: she'll clean my litter box first thing in the morning and again any time I use it during the day. Her day will end checking it one more time. For Pop: he'll put my cat tree together ASAP. That could be as soon as today. So far I don't see him taking steps toward that goal. This cat doesn't make revolutions for myself since it's impossible to improve upon perfection. TW claims that I should revolve to be nicer in 2013 cos she claims that even my readers want to see a kinder, gentler CK. It's not happening folks. I promise to keep on keeping it real this coming year. You know that when you come here you'll get plenty of cattitude. Unlike my President, this kitteh doesn't compromise. Lastly, I've put a graphic of the ratio of my Christmas cards to the peeps. 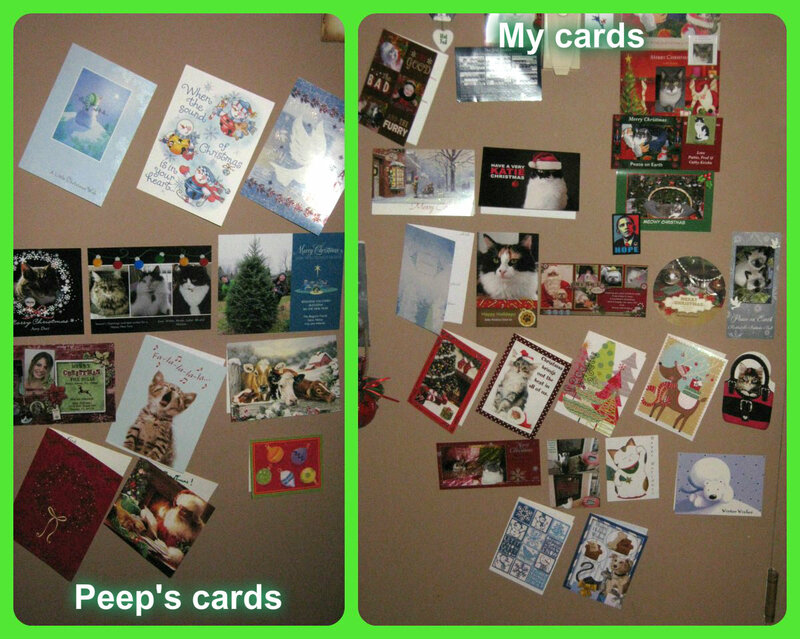 Yes, you'll notice I did include some of the cards I've sent out but those just happened to be on the door. I did out-receive them by a wide margin. Happy New Year! We like you just the way you are!!! We wish we could get our Mom to keep resolution #1!! We got way more cards than our peeps too. Sure hope TW & Pops take their revolutions seriously. I can't wait to see photos of your new tower of power!!! Did Balsam move out yet to make room for your new TOP? I'm glad to hear you're not gonna change a thing, CK. We love you JUST the way your are. Happy New Year CK! All the best to you and family. BTW, did you see my baby photos on Facebook? Mom was reminiscing yesterday! Keep it coming CK... the world could use a strong dose of what you're serving!! Happy New Year to you and yours!! P.S. Great cards too! But as for our peeps...well, that's another story. 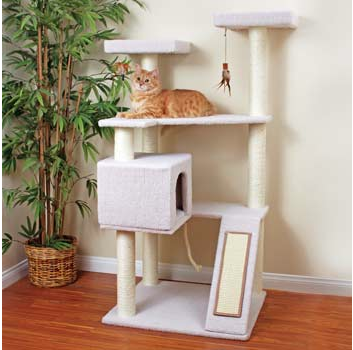 Your cat tree is very impressive. I can see why you want it and want it ME-NOW! Revolutions, despotic decrees--whatever you call 'em CK, they had better OBEY. Here's to a happy and healthy 2013! We are so glad to be your pals! Happy New Year to you and your peeps, CK! Don't go changing, okay? Because we love that you keep it real! I'm glad you are Staying the same. i couldn't deal with a changed CK. We wish you all the best for 2013 CK! Happy New Year from all of us at Brian's Home! Happy New Year dear, along with mom and dad. xoxoxo I hope to be back before long. I have truly missed you. Whew...SO glad you didn't listen to TW and yer plannin' to keep it real. We was worried for a sec! And wait... YOU got THAT cat tree for Christmas!?!?! We're SO totally coming for a visit! HAPPY NEW YEAR!! I've just come by to cover you in NY SMOOCHIES!! Ha ha ha. Do you know what? I MADE my Human FINALLY send out MY cards and she STILL has not done her own! She keeps saying she's going to....now she shooting for "Little Christmas" on the 6th. Yeah, it'll prolly happen around the time your tower gets put together. Hey--*I* have no wish for a kinder, gentler CK!!! Oh I hand't thought of giving huMum a resolution for the year! Bravo you really are a very smart cat with attitude! Just because we kitties are warm and fuzzy to touch, it does not mean we need to do that warm-fuzzy junk in our attitude! Good for you, CK, sticking to your true nature! So far, the only thing my human has done this year is embarrass Binga. Not sure how good a start that is, but at least it wasn't me! My Pawrents never do what me tells them too either! Keisha indeed you cannot improve on purrfection. Whoa! NICE cat tree!! Can't wait to show you mine in the next few days! You are seriously in for a wonderful 2013 year with the Revolutions handled and the Tower of Power! Watch out world - here comes Cathy Keisha! Nice resolutions and really nice Tower of Power! We can't wait to see it put together and you going to town on it! We got more cards then our peeps too. Keep it real CK, we LOVE you just the way you are. Happy New Year, CK. Make sure those humans keep their resolutions. You got to keep after them, they seem to have no initiative of their own. Purrrrrrrrrrrrrrs.